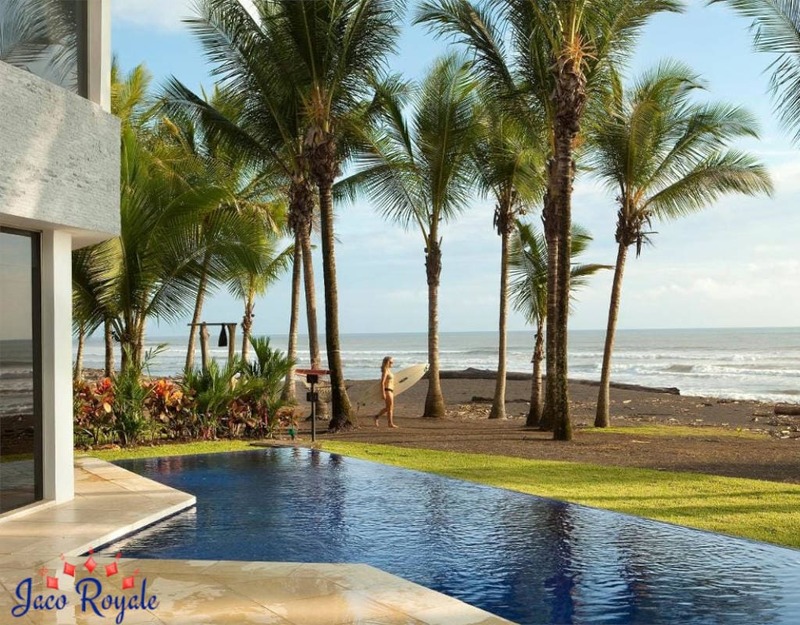 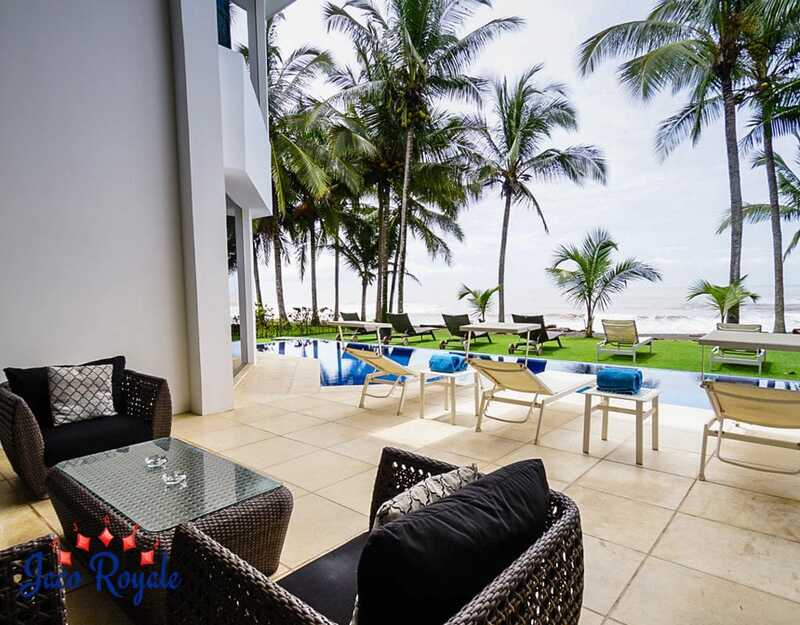 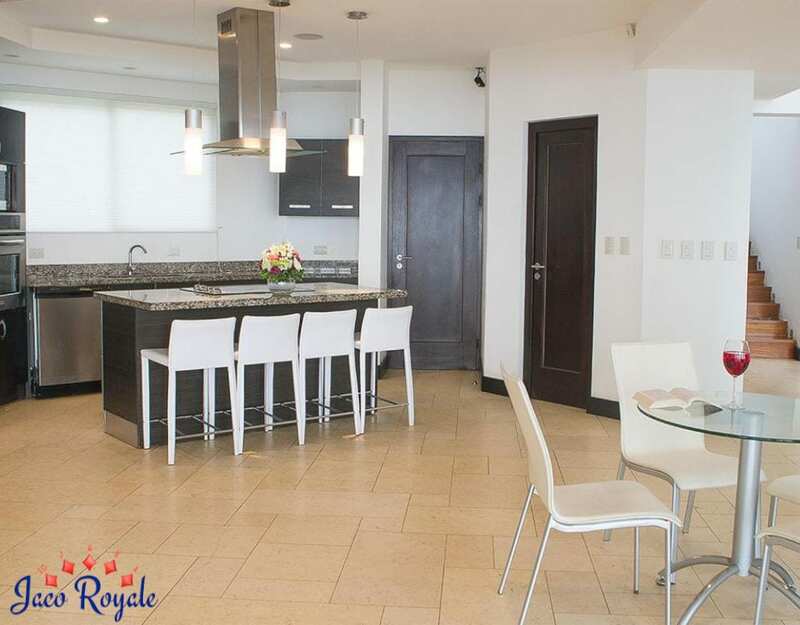 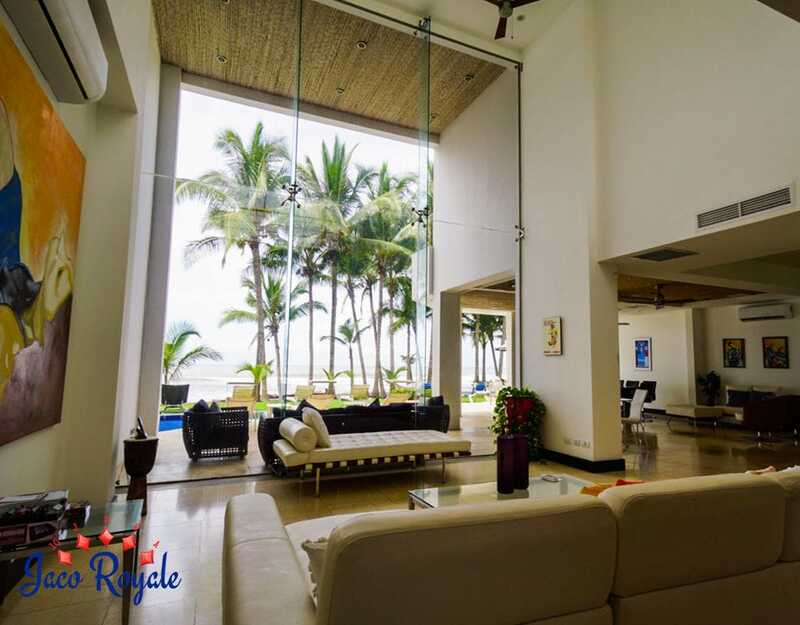 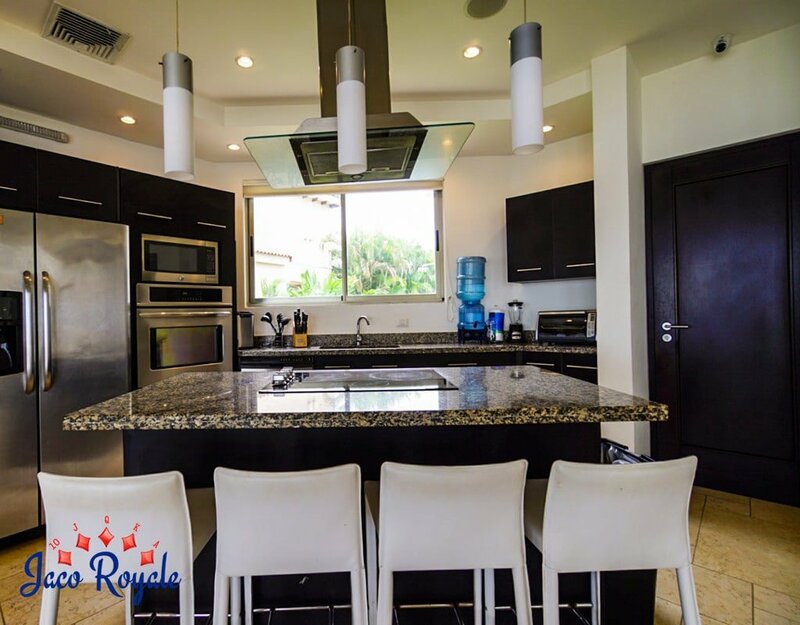 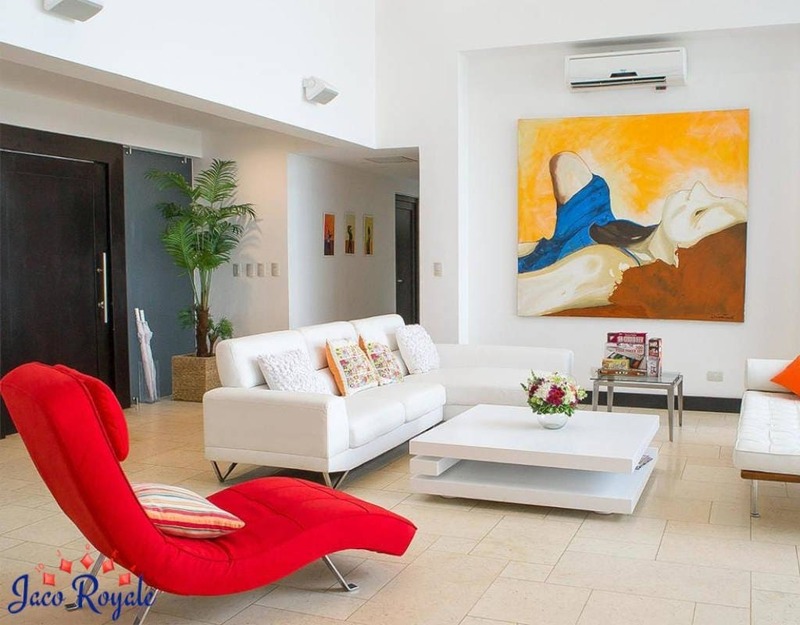 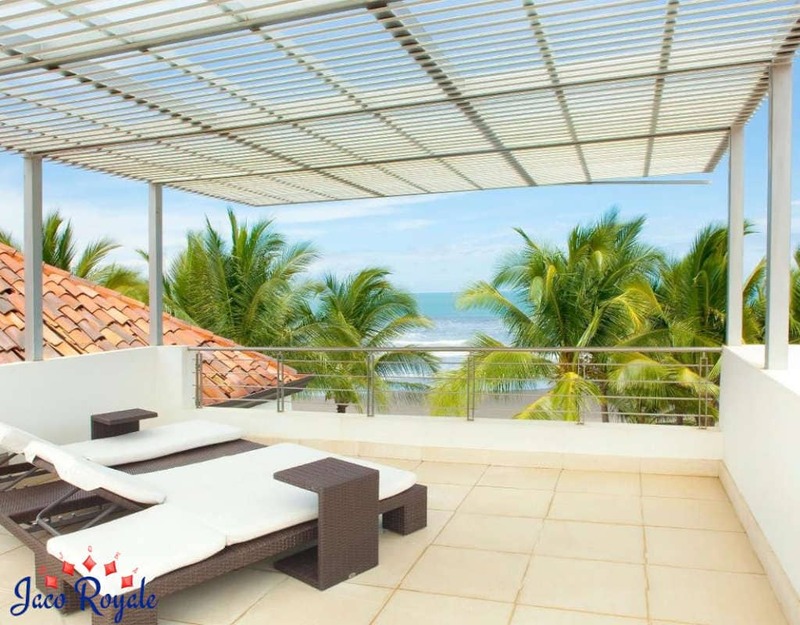 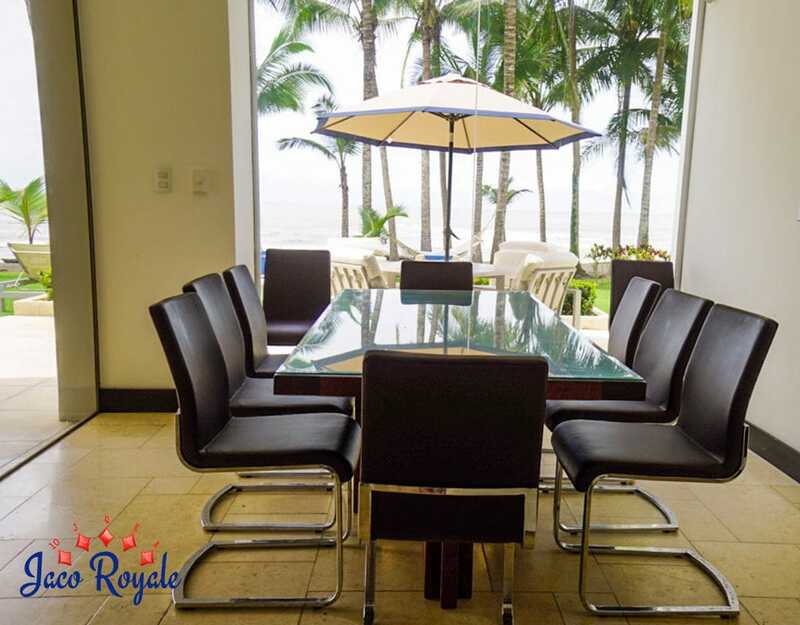 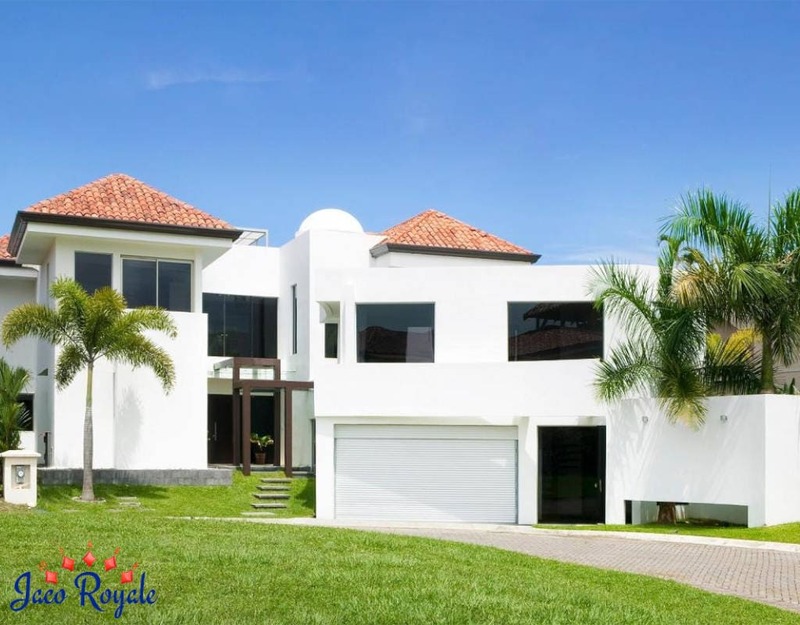 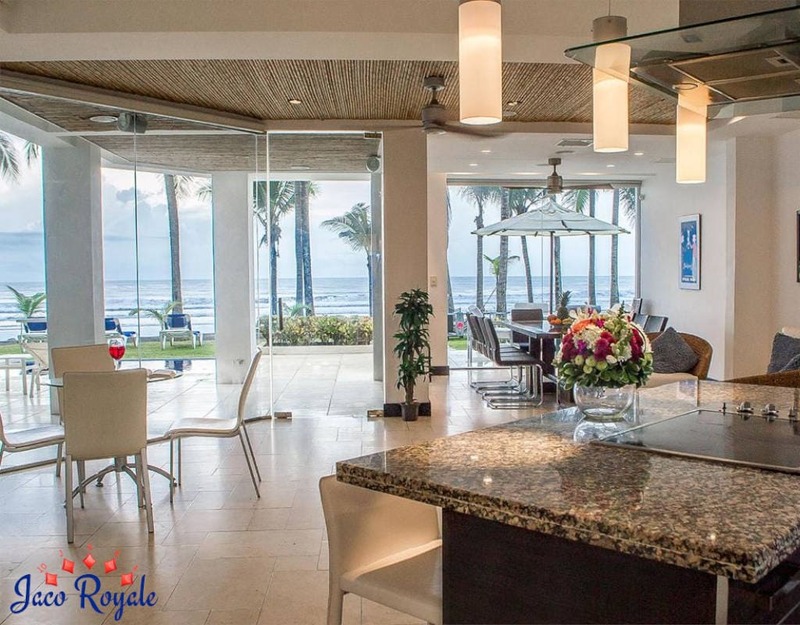 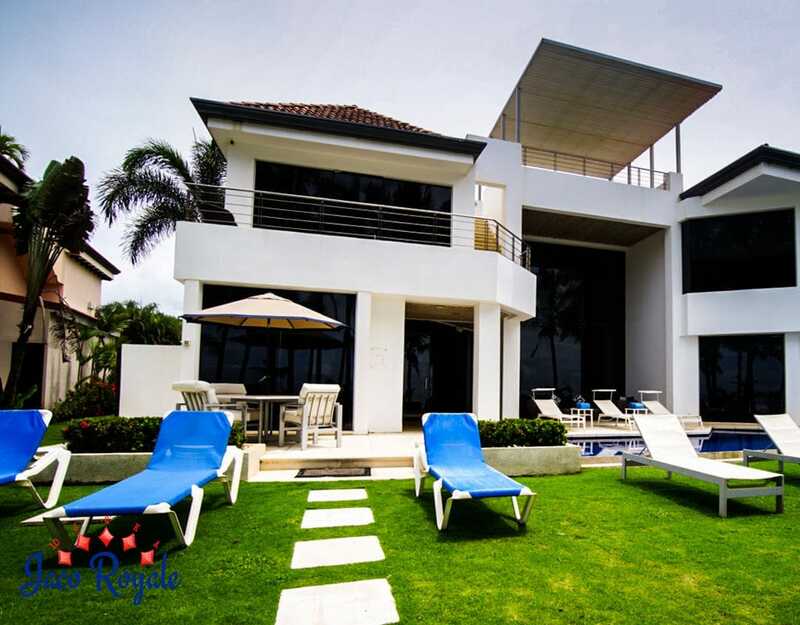 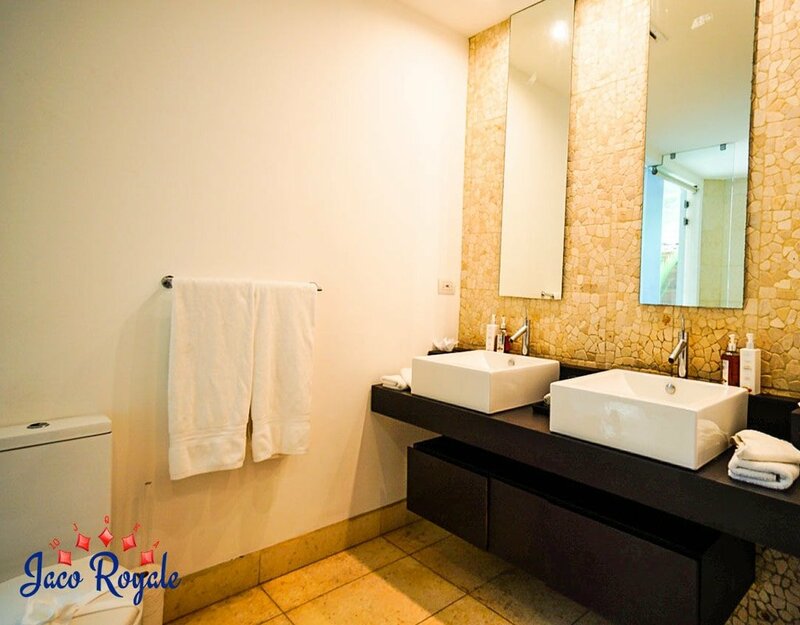 A 6-room beachfront villa, Royale Black is a tastefully furnished tropical haven located within the gated community of Hermosa Palms at Playa Hermosa in Jaco. 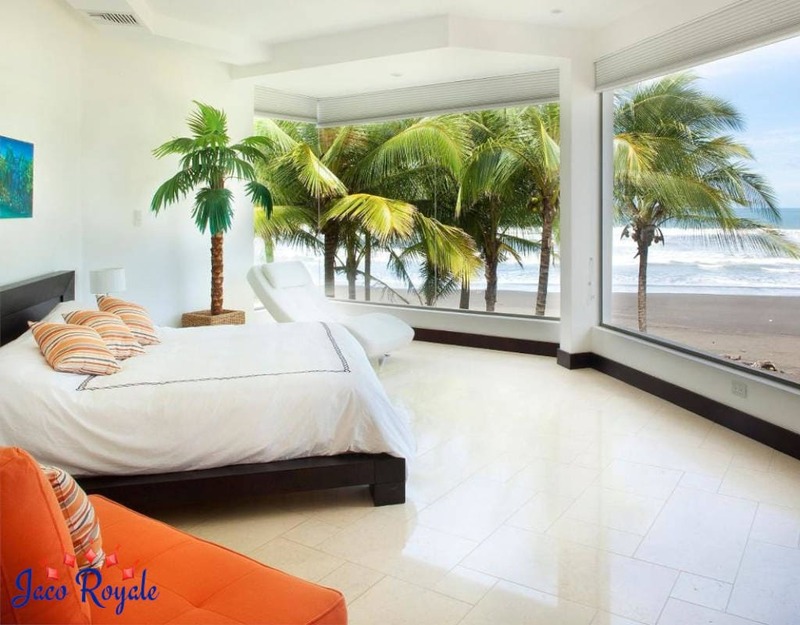 The living room and the suites that overlook the beach provide scintillating views of the ocean. 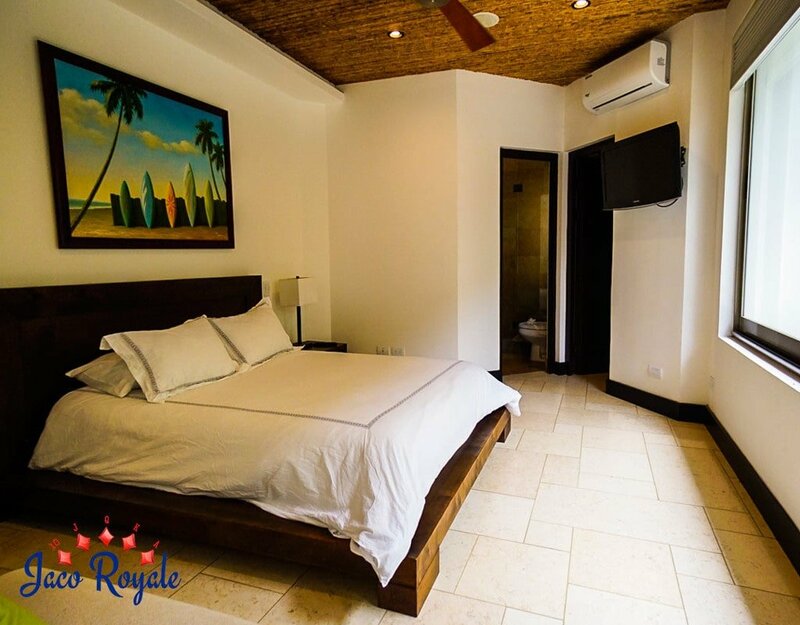 The main villa offers four bedrooms with king- and queen-size beds and large flat screen TVs. 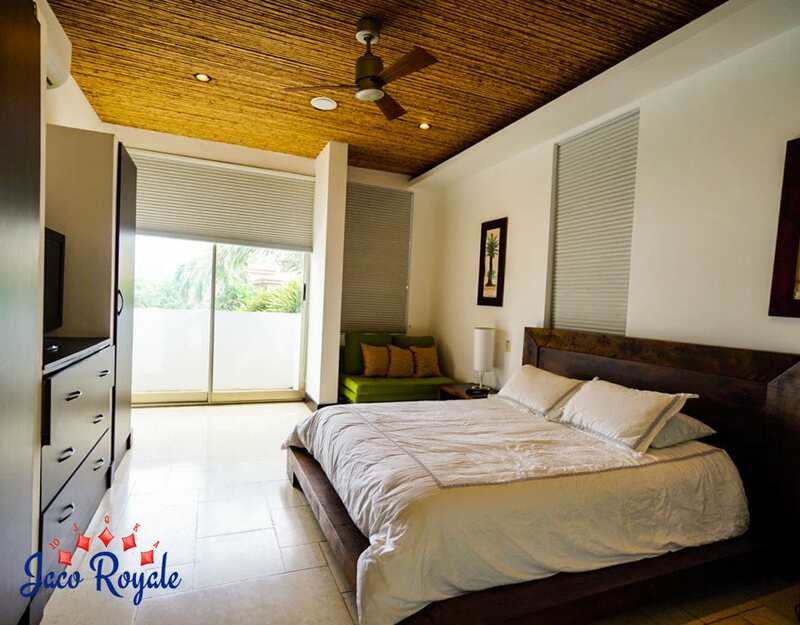 The guest house comes with two bedrooms, one with king-size and the other with queen-size bed, a common bath, living room, and a fully furnished kitchen. 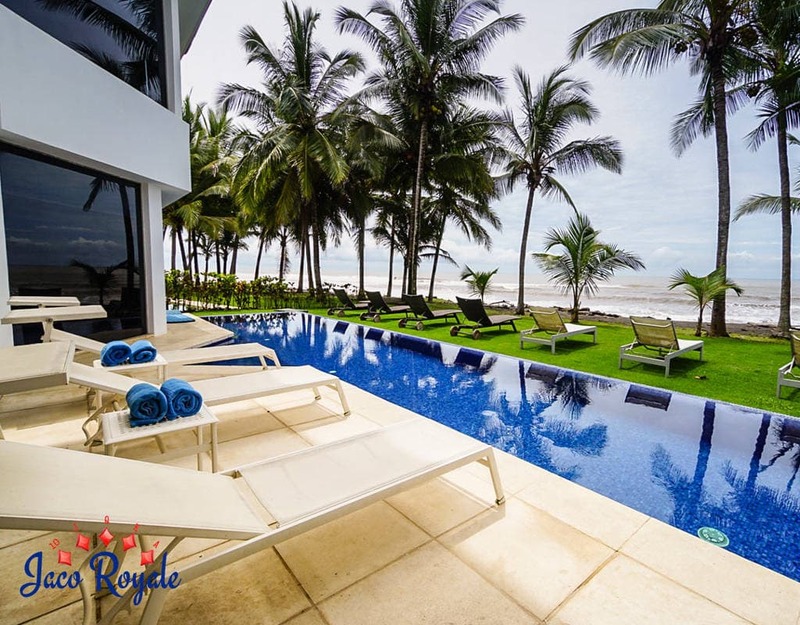 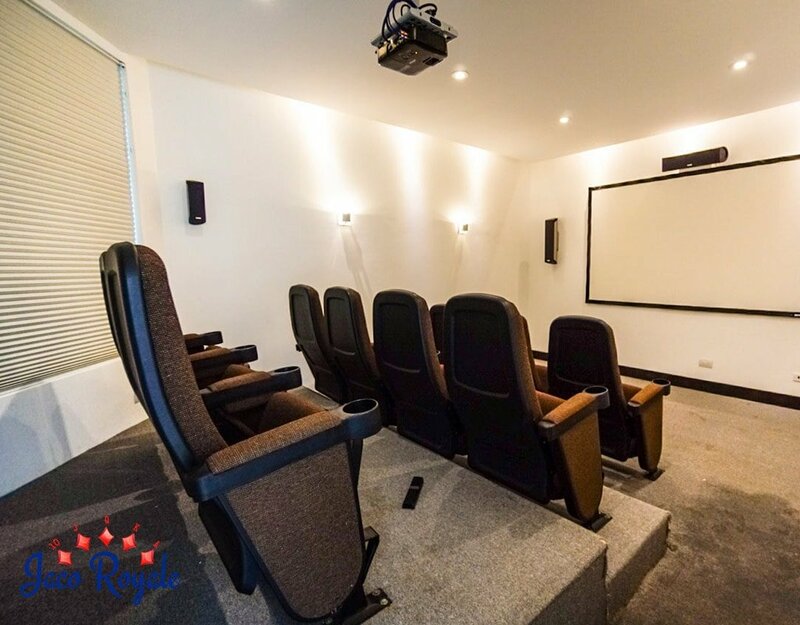 A huge infinity-edged pool, a movie theater that seats 10 people, a solarium with grill, a game room with pool table, TV, and mini bar are other top attractions of this villa.